Tax filing in Australia for international students if you are looking for answers, you have come to the right place. Filing taxes in Australia isn’t that stressful and most of the international students look forward to doing it as they’ll get a refund after filing for a tax return. If you are an international student who has been living in Australia for more than 6 months you’ll be treated as a resident in Australia for the purpose of taxes. Doesn’t matter if you are an Australian citizen or not, everyone including international students who have worked in Australia needs to file for a tax return at the end of a financial year. An international student will pay tax on the income earned in Australia just like any other citizens of Australia. However, you can enjoy the benefits of the tax-free threshold up to an amount of 18,200 dollars every year. In Australia, a financial year begins on the 1st of July every year and ends on the 30th of June the next year. An international student is also expected to file for a tax return declaring all the income earned in Australia. A Tax File Number in Australia is similar to that of a National Insurance Number (NIN) in the UK and a Social Security Card in the USA. Every international student has to apply for the TFN as soon as they arrive in Australia. If a student fails to do so he/she will have to pay a rate of 47% as taxes to the Australian government. Do All International Students Need To File For A Tax Return In Australia? All international students who have earned an income in Australia need to file for a tax return at the end of the tax year. The students who have earned an amount less than $ 18,200 will be exempted from paying taxes to the government. However, if you’ve already paid taxes on the income you’ve earned you need to file for tax returns to be eligible to get a refund of the amount you’ve paid. In a situation where the student has earned less than $18200 and has not been taxed on the amount, they need to submit non-lodgement advice to the Australian Taxation Office (ATO). This is to notify the tax authorities that you won’t be filing for taxes and you won’t end up paying a fine because the authorities have marked the student as having outstanding tax returns. All the students who have earned an income above $18,200 must file a tax return at the closure of a financial year. When Do You Need To File For Your Tax Returns In Australia? An international student filing for personal tax returns can do so every year beginning from the 30th of June. If you are filing for the tax returns by yourself you need to do it by the 31st of October. If you are doing it through a tax agent the deadline would be extended. Tax Filing In Australia For International Students – How To Do It? International students’ can file for their tax returns online at the ATO website which is the easiest method to do. While doing it online you need to create a MyGov account. Then the account needs to be linked to the ATO. Deductions could include expenses incurred on books, clothing and footwear, computers and mobile phones. The cost of hiring an accountant or a tax agent can be claimed along with the tax returns of the next financial year. 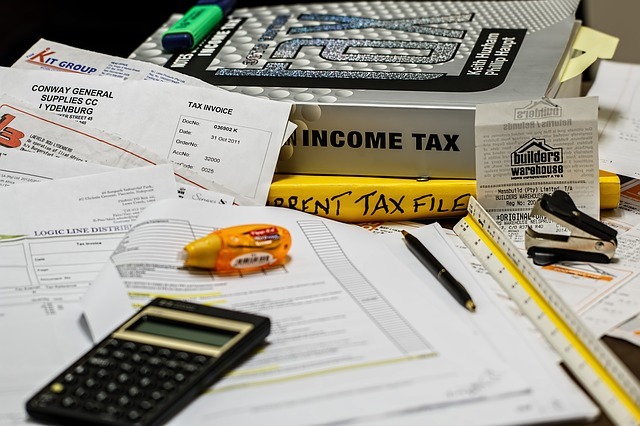 What Documents Do You Require To File For Tax Returns? You need to collect the Payment Summary from all the employers for whom you’ve worked. Payment Summary contains all the details of the earnings you’ve made with a particular employer and the amount you’ve paid as tax to the government. Most of the time the international students who work part-time or do low-income jobs have already paid what is more than required as a tax. Filing for a tax return ensures that they get a Tax Refund. When you’ve overpaid your taxes or have tax deductions that you are eligible for you to get the money from the government through a Tax Refund. The expenses that are incurred to earn an income is exempted from taxes through Tax Deduction. However, there can be certain limitations or conditions for a person to be eligible for Tax Deduction. For example, you can get a tax deduction on the money spent on buying safety equipment, uniform, or tools that are necessary for the job that you do. All these are deductible from taxes and you could get a good percentage of money as a Tax Refund. Are Receipts Necessary For An International Student To Get Tax Deductions? Everyone including the international students needs to be completely honest while filing for their tax returns. Tax returns that appear to be suspicious undergo several audits at the Australian Taxation Office. Make sure that you talk to an accountant in the situation where you do not have receipts with you. They could advise you on how you could still claim your tax deductions legally. Keep in mind that you could end up paying a huge penalty if you get caught trying to make dishonest claims for tax deductions. What If I Don’t Have Receipts For My Tax Deductions? If you don’t have receipts it is always advisable to talk to an accountant. Sometimes there are thresholds of money you can claim without having to show receipts. It is important not to be dishonest when doing your tax return. The Australian Taxation office does numerous audits every year on random and suspicious Tax Returns. You could risk big fines if you are found out to be falsely claiming Tax Deductions. How Can An International Student Leaving Australia Claim Tax Returns? If a student leaves the country before the end of the financial year which is the 30th of June you can file for your tax returns early. Another option is to file for your tax returns online which can be done from the student’s native country after the 30th of June. What Is Superannuation? Can An International Student Get A Refund While Leaving The Country? Employers in Australia pay a certain amount from the wages of the employee as Retirement Pension Contributions. This is usually a sum of 9% of the wages of the employees. An international student in Australia needs to apply for reclaiming Superannuation when they are leaving Australia. You can get a 70% refund of Superannuation when you leave the country. To get a reclaim of the Superannuation you need to collect the following from your employer. The Australian Tax Office regards an international student on a student visa as a temporary resident. Therefore you are not required to declare your foreign income while filing for tax returns. You don’t have to pay tax on that income either. You are required to declare only the income that you’ve earned in Australia and the income earned overseas while you are a temporary resident in Australia. Tax Filing In The UK For International Students – All You Need To Know Tax?